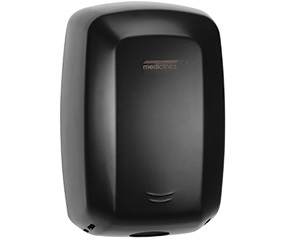 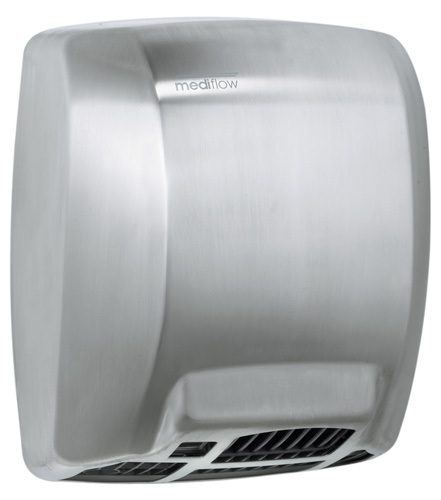 Premium warm air hand dryer to suit both high and low traffic. 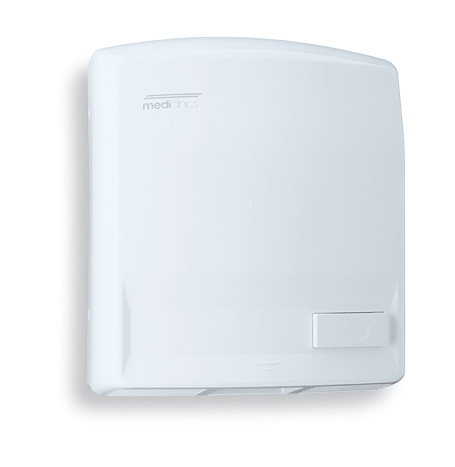 ‘Logic dry’ technology regulates outlet temperature according to the ambient room humidity and temperature. 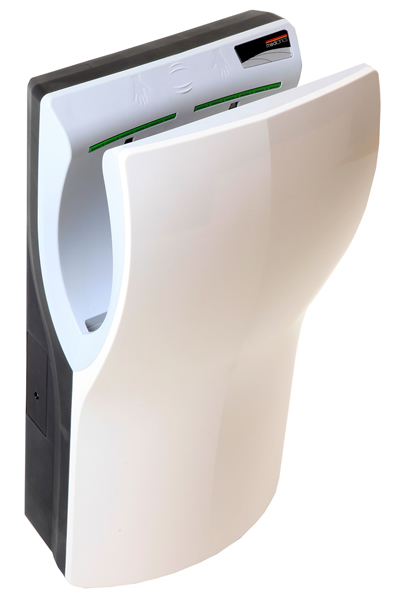 Good looks brighten any public washroom area. 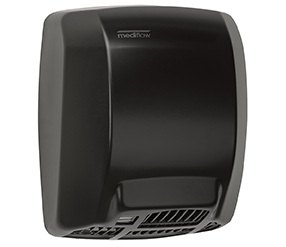 Quieter than high speed and most other warm air dryers. 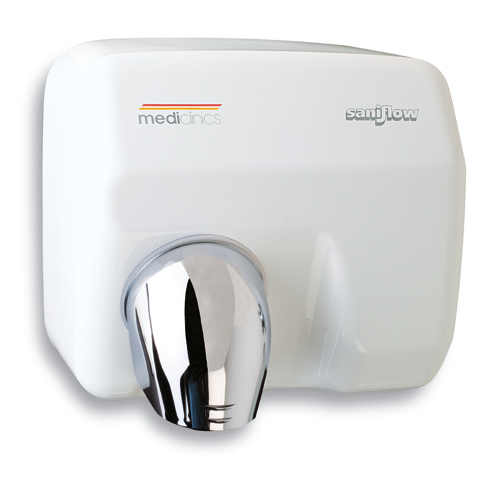 All Mediclinics Mediflow models use the same components, the differences being casing material and finish.